Island Park has so much to do and experience! If you are into 4 wheelers there are several options for renting machines in Island Park and there are hundreds of miles of trails to ride. The variety of terrain is fantastic and there are many areas where you can be with just your group and explore the mountain wilderness on your own. It is a unique experience to ride through the forest just to enjoy the peacefulness and beauty all around you. If you are interested in Mountain biking there are great solitary rides in some incredible country including everything from fire roads to single track and you never know what you might see on your ride, there is plenty of wildlife all over the area. Want to enjoy the country from horseback? There are several options available including rides in the Centennial mountains starting just 10 minutes from Lost River Retreat. The scenery is unmatched and there are rides available for all skill levels from first timers to experts. There is nothing like riding the remote trails of the Teton National Forest and Yellowstone region. An afternoon on horseback is sure to give you the feeling of what mountain men and pioneers felt when they first discovered and settled the region. The slow, gentle rhythm of a horse's gait feels as natural as the surroundings themselves. Horseback riding offers spectacular mountainous backcountry views with beautiful panoramas, endless vistas, mountain lakes, and streams, plus incredible wildflowers and a variety of wildlife viewing. 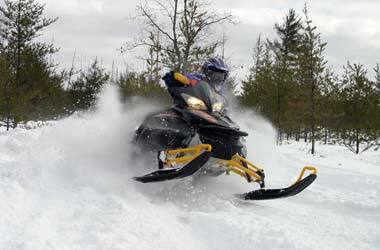 In the winter riding means snowmobiling and Island Park attracts riders from all over the country. There are over 500 miles of trails and any kind of off trail experience you might desire. From wide open bowls to steep climbs to runs through the forest, you have experience it to believe it. When you are done return to Lost River Retreat and soak in the hot tub and relaaxxxx! Only 30 minutes from Yellowstone National Park and minutes from some of the best Blue Ribbon trout streams in the Country including the Henry’s Fork (5 minutes), the Madison River (40 Minutes) The Gallatin River (55 minutes) with populations of Cutthroat, Brook, Brown and big Wild Rainbow you are sure to have a memorable trip. Couple the rivers with the stillwater fishing in Island Park Reservoir, Henrys Lake and Hebgen Lake all of which offer spectacular fishing for Kokanee, Rainbows, White fish, and monster lake trout. Naturally, with Yellowstone so close you can not pass up an opportunity to fish in Yellowstone National Park. 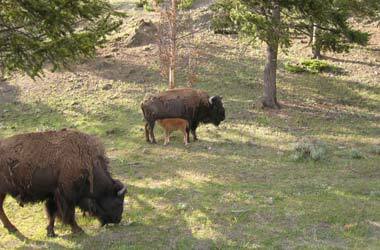 Deer, Elk, Moose, & Bear all thrive in the cladrea and its mountian ridges and present the big game hunter with many opportunities. There is also abundant water fowl and upland game bird.